New Releases from Haken, Fates Warning, The Sea Within and Devin Townsend Project! 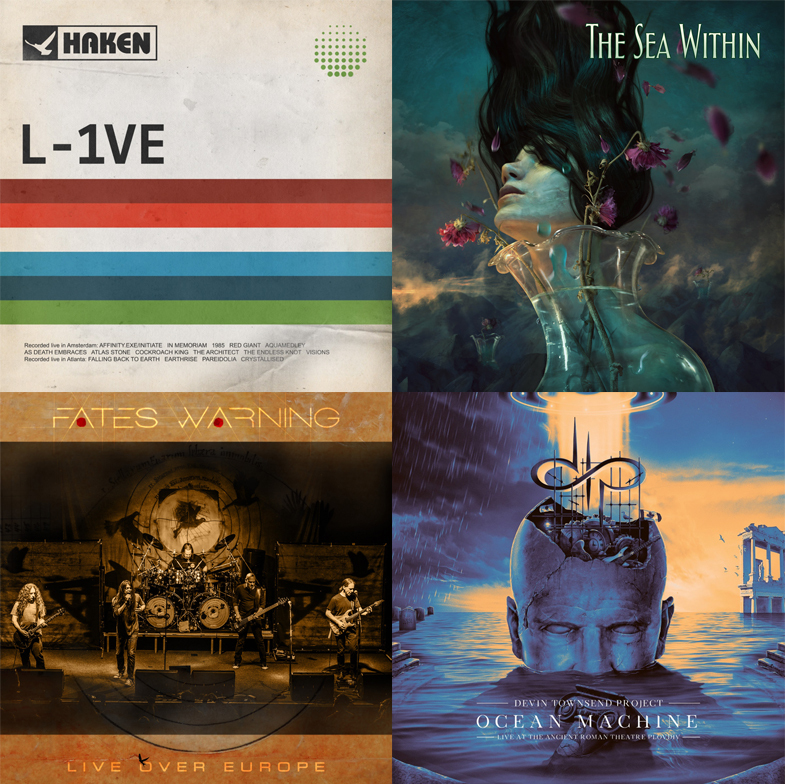 This summer marks the release of exciting new albums from InsideOut Music, including live albums from Devin Townsend Project, Fates Warning and Haken, plus the debut album from the newly-formed The Sea Within. Each band is available for interviews, so please let me know if you are interested in setting up a call or if you need the music for any reviews. If you have missed any of the news on these releases, here is a recap. Haken – L-1VE, June 22nd – ‘L-1VE’ is the band’s first ever live album. Following the release of the bands much-acclaimed fourth studio album ‘Affinity’, they embarked upon their 10th anniversary tour across Europe & North America. Recorded and filmed on April 13th, 2017, at the legendary Melkweg venue on the Amsterdam stop of that tour, this represents the band’s first ever live document with tracks from across their discography. The Sea Within – self-titled, June 22nd – The Sea Within is the new art-rock collective comprised of Roine Stolt(Transatlantic, The Flower Kings), Daniel Gildenlöw (Pain of Salvation), Jonas Reingold (Steve Hackett, The Flower Kings, Karmakanic, The Tangent), Tom Brislin (Yes Symphonic, Renaissance, Spiraling, Deborah Harry) & Marco Minnemann (The Aristocrats, Steven Wilson, UK, Joe Satriani) along with vocalist Casey McPherson with guests such as Jordan Rudess and Jon Anderson making appearances. Fates Warning – Live Over Europe – June 29th – Culled from the group’s most recent European headlining run for FATES WARNING’s much acclaimed latest studio album “Theories Of Flight” in January 2018, “Live Over Europe” includes recordings from 8 different cities (Aschaffenburg / Germany, Belgrade / Serbia, Thessaloniki and Athens / Greece, Rome and Milan / Italy, Budapest / Hungary as well as Ljubljana / Slovenia) and a total of 23 songs in over 138 minutes of playing time, spanning 30 years of the group’s seminal career. Devin Townsend Project – Ocean Machine:Live at the Ancient Roman Theatre Plovdiv’ – July 6th – The concert film from the special show at the Ancient Roman Theatre in Plovdiv, Bulgaria on September 22nd, 2017,, celebrating the 20th anniversary of the landmark Ocean Machine album in full, as well as a set of fan-requested tracks alongside the Orchestra of Plovdiv State Opera. I have both the new live Haken and The Sea Within on pre-order and shall be looking forward to them. The live Haken release is superb value for the money. The fact you are getting a box set with 2 CD’s and 2 DVD’s for under £16 makes you wonder how anyone can charge more than £12 for a single CD. Lee, when you have a free moment, can you email me (Brad) at progarchy [at] gmail. Thanks!